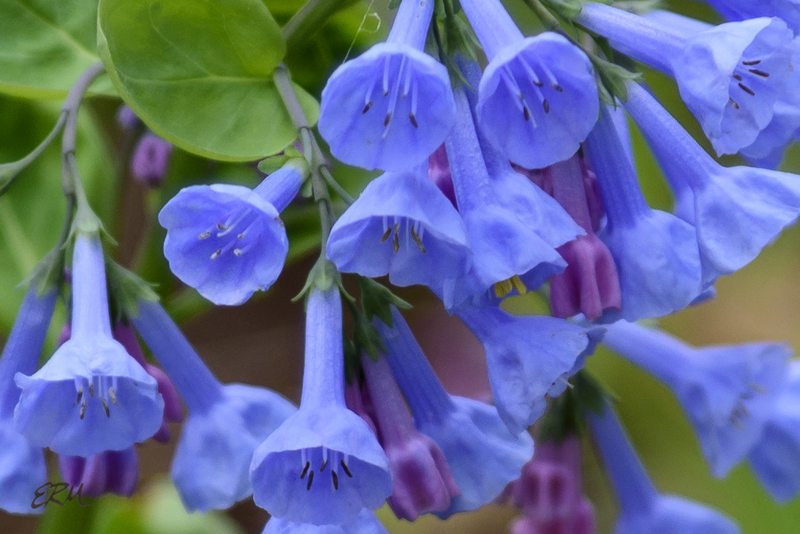 Bluebells. And Pinkbells and Whitebells and More. 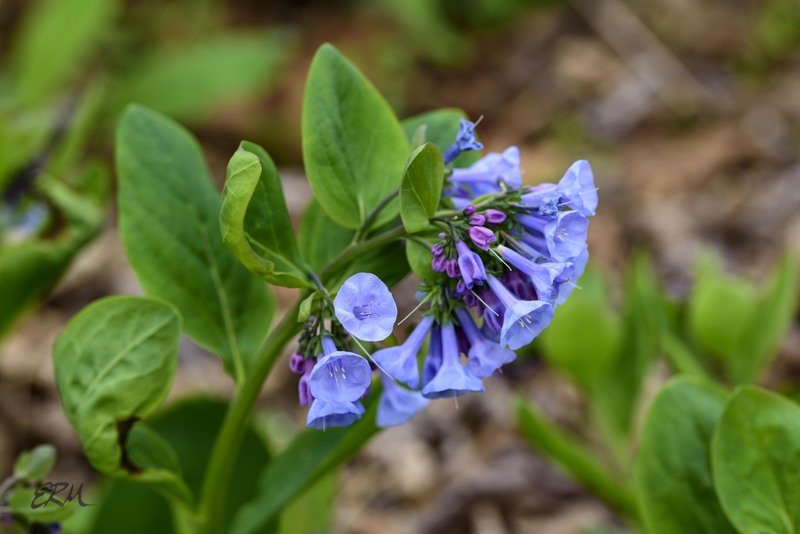 As the spring ephemeral wildflower show in the Potomac gorge slowly ramps up, the most eye catching plant must be Mertensia virginica (Virginia bluebells, Boraginaceae). 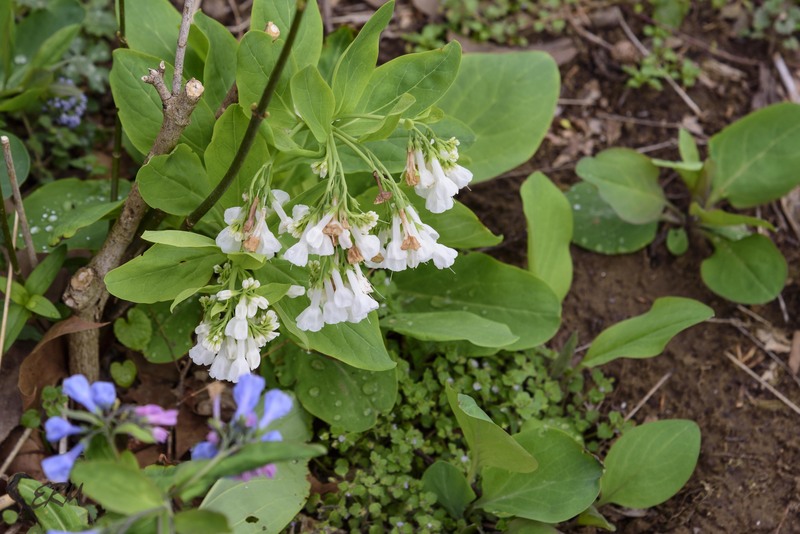 The pale green leaves pop up in floodplains and moist to wet woodlands, in clumps that stand up to two feet tall, and then flowering shoots emerge. 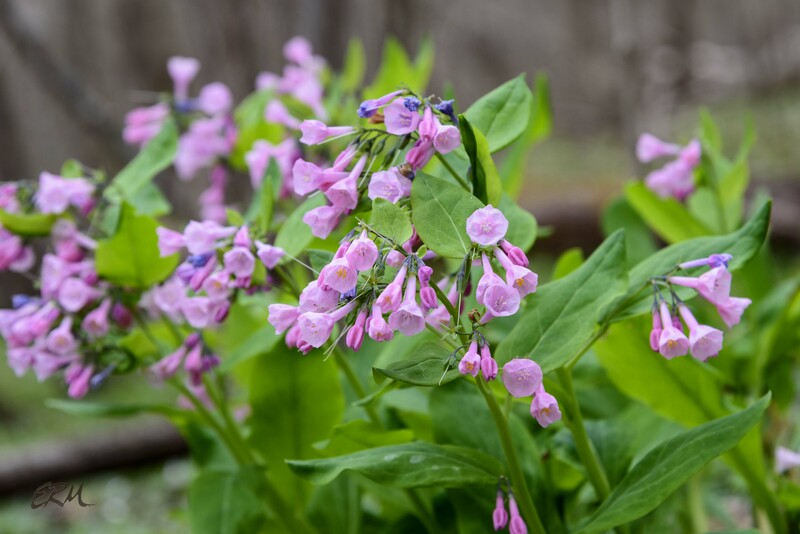 The blooming period is three or four weeks long; the leaves last another few weeks after that, then die back and the plants are done for the season. The inflorescence is a cyme. The flowers have five petals fused into a long, lobed tube; a much shorter corolla formed from five sepals; five stamens, and a single pistil. Year after year, what I find fascinating is the color display. 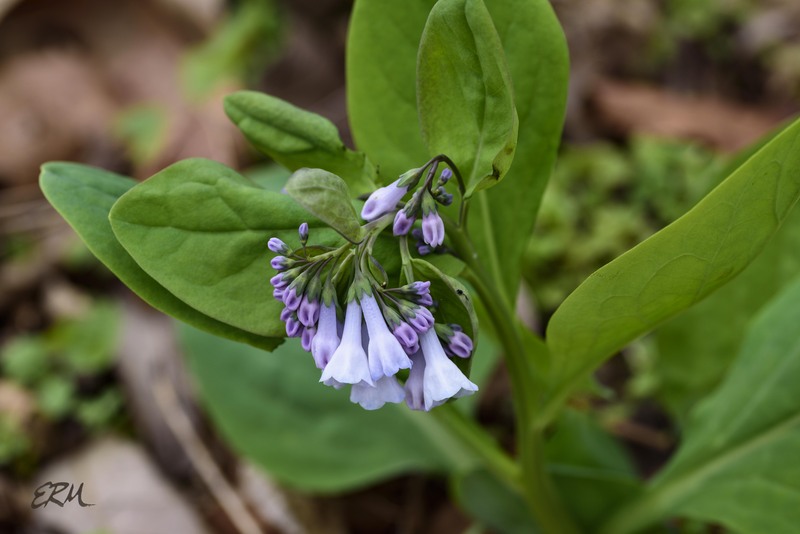 The vast majority of bluebells are an intense blue (I call it borage blue), but sometimes they will be pure white, or pure pink, or violet-tinted, or even pink and blue on the same plant. I’ve seen several possible explanations for this, but nothing definitive. As for the pure white and pure pink bluebells, I’m going to guess that those are genetic variations. I’ve seen the same stand of pink ones three years in a row now, and the same stand of white bluebells every year since 2011. I’ve also seen the violet-tinted ones in the same place two different years. This post is dedicated to my friend Brad, who in early 2014 talked me into starting this blog, which is three years old today. 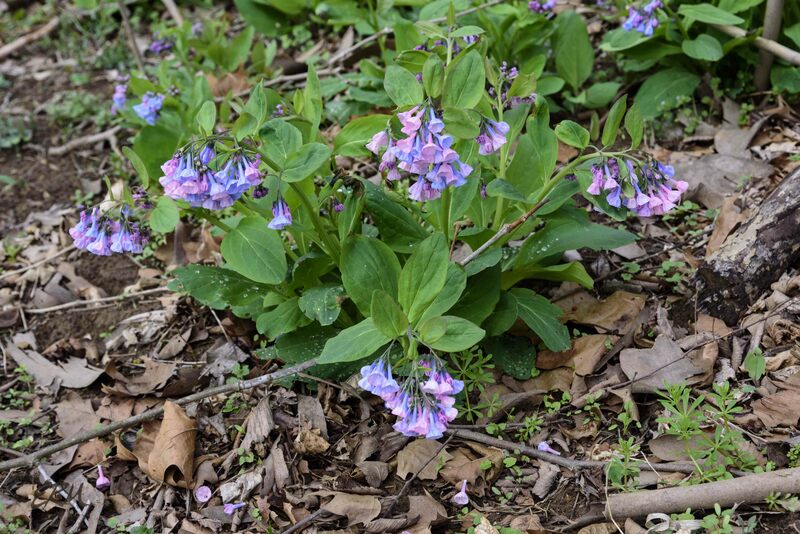 This entry was posted in Uncategorized and tagged bluebells, Boraginaceae, Mertensia by elizabeth. Bookmark the permalink.